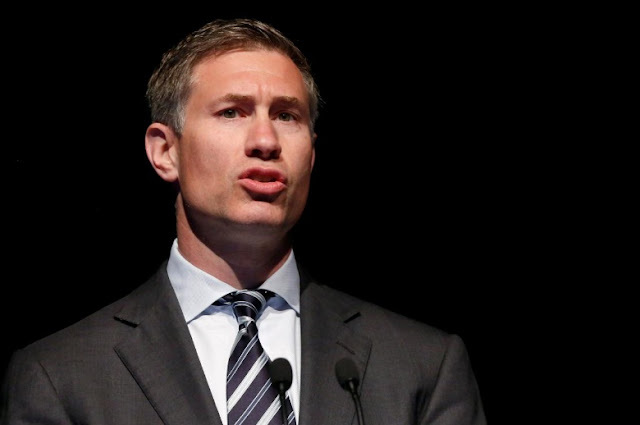 FILE PHOTO: David Stemerman, founder of Conatus Capital Management, speaks at the Sohn Investment Conference in New York, U.S., May 8, 2013. With a businessman turned politician now in the Oval Office, a small but growing number of bankers and Wall Street financiers across the United States have set their sights on politics. In New Jersey, Connecticut and California, former bankers, hedge fund managers and private equity executives have either announced bids for legislative and gubernatorial seats, or associates have told Reuters they are considering running. Meanwhile, industry trade groups including the American Bankers Association are launching formal programs to teach members in various states how to campaign successfully. It is not the first time well-heeled candidates have entered American politics, and there are not a great number of them. But historians, political scientists and bankers say the atmosphere has changed abruptly under President Donald Trump. The Oklahoma Bankers Association is also planning to launch its own candidate school, a spokesman said. Foreclosures, job losses and growing income inequality after the 2007-2009 financial crisis made anyone with Wall Street ties into a political pariah. But Trump, a self-described billionaire who made a fortune in New York real estate and entertainment, has stocked his cabinet with Wall Street bankers and industry tycoons. His presidency has inspired others in the financial community to pursue civic duty, according to people who have studied campaigns or are involved with current election efforts. Trump’s ascendance shows that candidates’ backgrounds matter less than whether they can connect with voters, said Joshua Sandman, a political science professor at the University of New Haven. It is hard to say quantitatively whether more candidates with finance backgrounds are pursuing political office now compared with prior election cycles. But Paul Herrnson, a political science professor at the University of Connecticut who has researched candidates’ backgrounds, says he is skeptical about how successful the new crop of candidates will be. 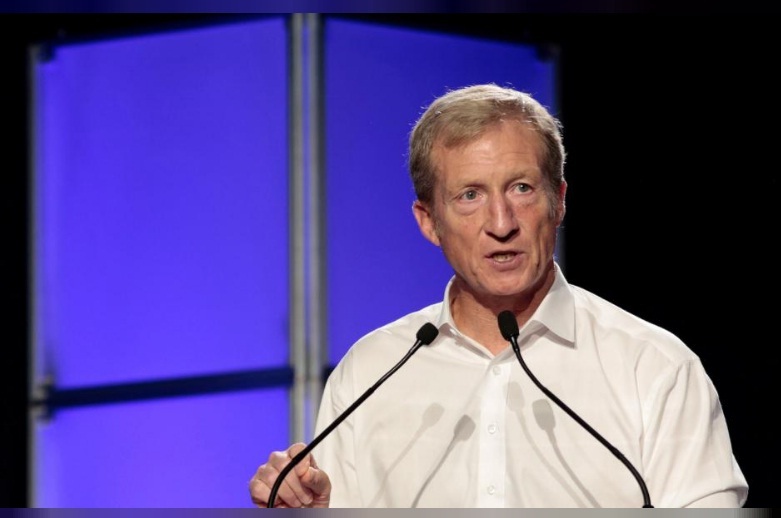 FILE PHOTO: American environmentalist Tom Steyer speaks at the Netroots Nation annual conference for political progressives in Atlanta, Georgia, U.S. August 12, 2017. “Sure, the mood is better than it was when the market collapsed, but I don’t think people say, ‘Wall Street financier – that’s someone I can vote for,” he said. 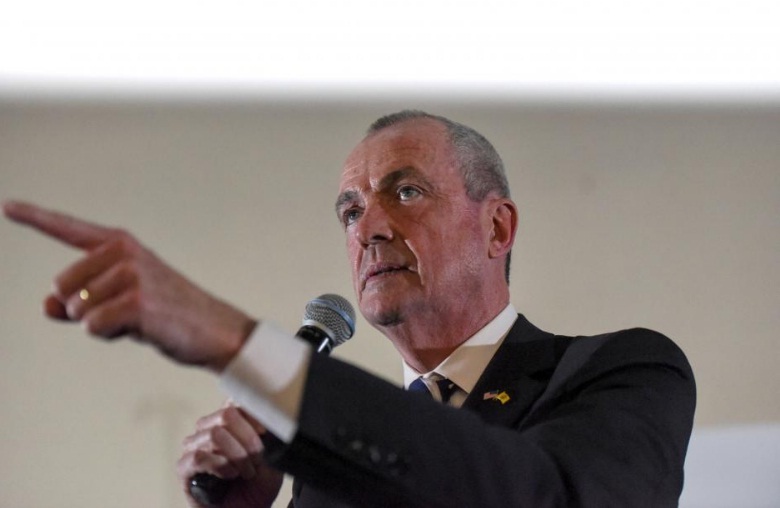 Phil Murphy, the Democratic candidate for New Jersey governor in 2017, a former Goldman Sachs Group Inc executive who spent 23 years at the firm, is perhaps the most prominent moneyed candidate. His campaign has focused on bolstering the middle class with proposals to create a millionaire’s tax and launch other initiatives to help low-income residents. Murphy has won support from labor unions, environmental groups and consumer rights activists, as well as bold-faced names in the Democratic party like former Vice Presidents Joe Biden and Al Gore, who have both endorsed him. FILE PHOTO: Phil Murphy, a candidate for governor of New Jersey, speaks during the First Stand Rally in Newark, N.J., U.S. January 15, 2017. An Oct. 3 Monmouth University Poll has him leading his Republican rival, Kim Guadagno by 14 points, and over 60 percent of New Jersey voters said Murphy’s ties to Goldman do not matter in a recent Quinnipiac Poll. In Connecticut, former UBS Group AG executive Robert Stefanowski is running for governor, according to a public filing, and hedge fund manager David Stemerman recently said he may do the same. The two Republicans have given few clues about their campaign strategies other than to cast themselves as outsiders who can fix Connecticut’s problems. In California, two Wall Street veterans are mulling runs as progressive Democrats. Tom Steyer, an environmentalist who worked at Goldman Sachs and was a hedge fund manager, may run for Senate or governor, a person familiar with the matter said. Joseph Sanberg, a former Tiger Global Management LLC executive, is also considering a Senate run, according to Politico. He casts himself as a “progressive entrepreneur” on his website. Other ex-Wall Streeters who have entered politics have a mixed history, and much depends on how well their messages align with voters’ concerns, political historians said. For instance, while Mitt Romney’s private-equity career helped doom his 2012 presidential bid, Illinois voters elected private equity executive Bruce Rauner as governor in 2014.